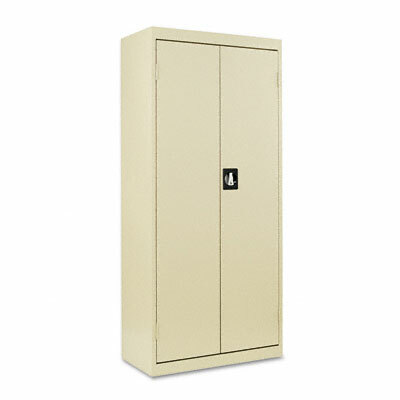 Industrial grade steel cabinet with powder coat finish works best where space is at a premium. Designed for quick and easy assembly with reduced fastener construction. Doors open 180° for easy access to contents. Four fixed shelves. Recessed locking handle.